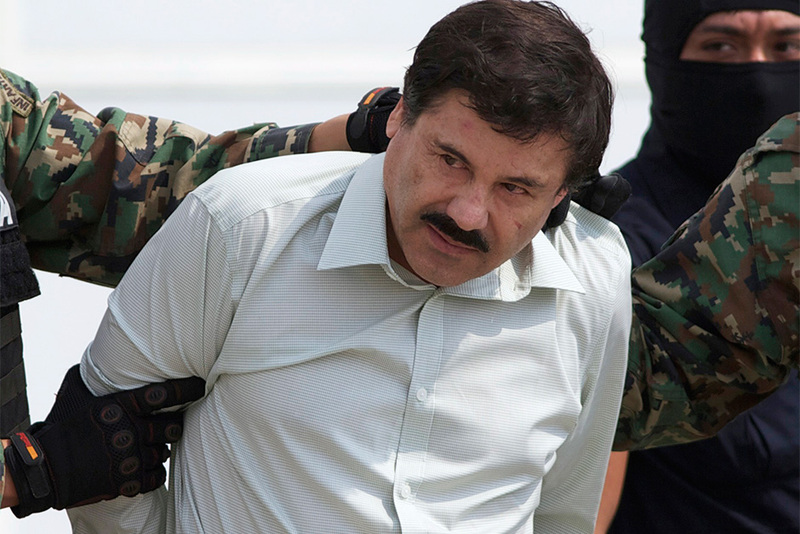 Accused Mexican drug lord Joaquin "El Chapo" Guzman once paid a $100 million bribe to former Mexican President Enrique Pena Nieto, an ex-Guzman associate testified on Tuesday that he previously told U.S. authorities. Alex Cifuentes, who has described himself as Guzman's onetime right-hand man, discussed the alleged bribe under cross-examination by Jeffrey Lichtman, one of Guzman's lawyers, in Brooklyn federal court. Asked if he told authorities in 2016 that Guzman arranged the bribe, he answered, "That's right." Reuters could not immediately reach Pena Nieto or his former spokes-man for comment. He has previously denied taking bribes. "The declarations of the Colombian drug trafficker in New York are false, defamatory and absurd," wrote Francisco Guzman in a post on Twitter, adding that the Pena Nieto government "locat-ed, detained and extradited" the Mexican kingpin. The allegations are among the most explosive to emerge from Guzman's trial, which began in November and has so far fea-tured testimony of lower-level corruption. Cifuentes testified that he had told U.S. prosecutors that Pena Nieto initially reached out to Guzman, asking for $250 million. Cifuentes told the prosecutors that the bribe was paid in Octo-ber 2012, when Pena Nieto was president-elect, he testified. Lichtman had promised jurors in his opening statement last No-vember they would hear how Mexican drug kingpin Ismael "El Mayo" Zambada bribed Pena Nieto and another former presi-dent as part of a scheme to frame Guzman. He said Zambada was the real boss of the cartel. Pena Nieto at the time called the claim "completely false and defamatory." U.S. District Judge Brian Cogan, however, refused to allow Guzman's lawyers to question Zambada's brother about the alleged bribes last year. It was unclear how Cifuentes' testimony, which appeared to im-plicate Guzman, could be used to defend him, though Lichtman homed in on inconsistencies in Cifuentes' memory. Cifuentes admitted that at a meeting last year, he told prosecutors he was no longer sure of the exact amounts of the bribes, but did not elaborate. Pena Nieto was president of Mexico from December 2012 until November 2018. He was once a rising star in Mexico's long-dominant Institutional Revolutionary Party, or PRI, and was the former governor of the state of Mexico, the country's most populous. Captured by Pena Nieto's government in February 2014, Guz-man broke out of prison for a second time some 17 months lat-er, escaping through a mile-long tunnel dug right into in his cell. The jailbreak humiliated the government and battered the pres-ident's already damaged credibility, though Pena Nieto person-ally announced news of the kingpin's third capture when he was again arrested in northwestern Mexico in January 2016. Colombian-born Cifuentes is one of about a dozen witnesses who have so far testified against Guzman after striking deals with U.S. prosecutors, in a trial that has provided a window into the secretive world of the Sinaloa Cartel, one of the world's most powerful drug trafficking organization.